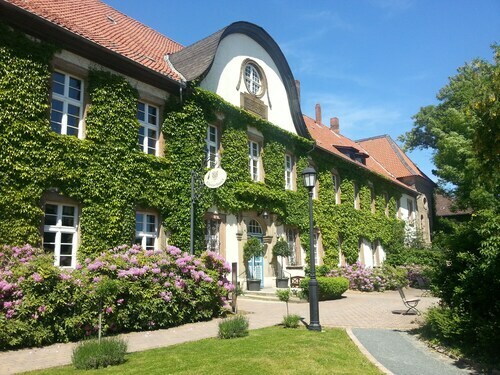 Located in Goslar Rural District, this hotel is within 9 mi (15 km) of Harz Golf Club, Marktkirche St. Cosmas und Damian, and Goslarer Rathaus. Burgberg Cable Car and Goslar Imperial Palace are also within 9 mi (15 km). Vienenburg Station is 25 minutes by foot. Located in Goslar Rural District, this guesthouse is within 9 mi (15 km) of Harz Golf Club, Burgberg Cable Car, and Marktkirche St. Cosmas und Damian. Goslar Imperial Palace and Goslarer Rathaus are also within 9 mi (15 km). Vienenburg Station is 7 minutes by foot. 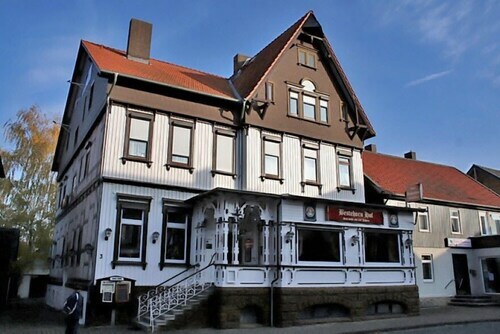 This hotel is located in Vienenburg (Goslar Rural District), where area attractions include Harz Golf Club and Burgberg Cable Car. Regional attractions also include Brocken and Marktkirche St. Cosmas und Damian. Located in Goslar Rural District, this guesthouse is within 12 mi (20 km) of Marktkirche St. Cosmas und Damian, Harz Golf Club, and Goslar Imperial Palace. Burgberg Cable Car and Goslarer Rathaus are also within 12 mi (20 km). How Much is a Hotel Room in Vienenburg? Hotels in Vienenburg start at $52 per night. Prices and availability subject to change. Additional terms may apply. 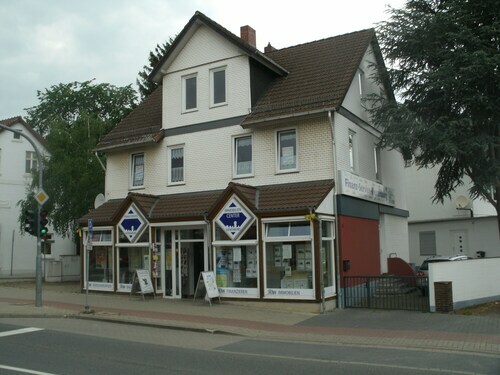 Are you planning on spending time in Harz and looking for a place to sleep somewhere in or around Vienenburg? You will discover 4 apartments and hotels on Travelocity within 6 miles (10 kilometers) of the downtown area. It's no worry that Vienenburg can't lay claim to hosting a massive range of accommodations immediately within the downtown area, Hotel Goslarer Straße is convenient enough to be appropriate for Travelocity readers. You should investigate the Ringhotel Weißer Hirsch and also the Landhaus Zu den Rothen Forellen. The Ringhotel Weißer Hirsch is located only 13 miles (21 kilometers) from downtown Vienenburg. The Landhaus Zu den Rothen Forellen, is only 8 miles (13 kilometers) away. The Travel Charme Gothisches Haus and also the Rilano 24 7 Hotel Wolfenbüttel are other alternative accommodation options worth checking out in Vienenburg. Following exploring Vienenburg, you should make time to uncover the diverse activities of the Saxony-Anhalt area. Explore Saxony-Anhalt's castles. Lovers of the great outdoors should also make the time to enjoy the region's forests, rivers, streams and lakes. Visitors and locals alike in this section of Germany commonly enjoy snowboarding. Goslar is 7 miles (10 kilometers) to the southwest of Vienenburg and boasts Goslar Imperial Palace and Mines of Rammelsberg. Should you wish to spend any time in Goslar, check out the rooms at the Altstadt Hotel Gosequell and RAMADA Hotel Baeren Goslar. 19 miles (31 kilometers) south of Vienenburg, you'll reach Sorge, which is home to the Hotel Tannenpark and Landhausferienwohnungen Am Brockenblick. The Grenzlandschaft and Museum Sorge and Ring der Erinnerung are some of the more frequented places to discover in Sorge. If sport is on your Vienenburg bucket list, don't overlook a trip to HDI Arena, situated 45 miles (72 kilometers) to the northwest of Vienenburg. Wise travelers that would like the convenience of booking a room not far away, reserve a room in the Cityhotel Königsstraße or Sheraton Hanover Pelikan Hotel. Hannover Airport is a practical gateway for those arriving in Vienenburg. It can be found 50 miles (81 kilometers) from the town center. For travelers who hope to find accommodation nearby, have a look at Leonardo Hotel Hannover Airport or Maritim Airport Hotel.